Briana Viniegra is a second year here at UCI double majoring in Urban Studies and Psychology & Social Behavior. She has shown that she is dedicated to LBSA’s three pillars by being a regular at study hours, promoting fundraisers for the organization and regularly taking part in the organization’s events. 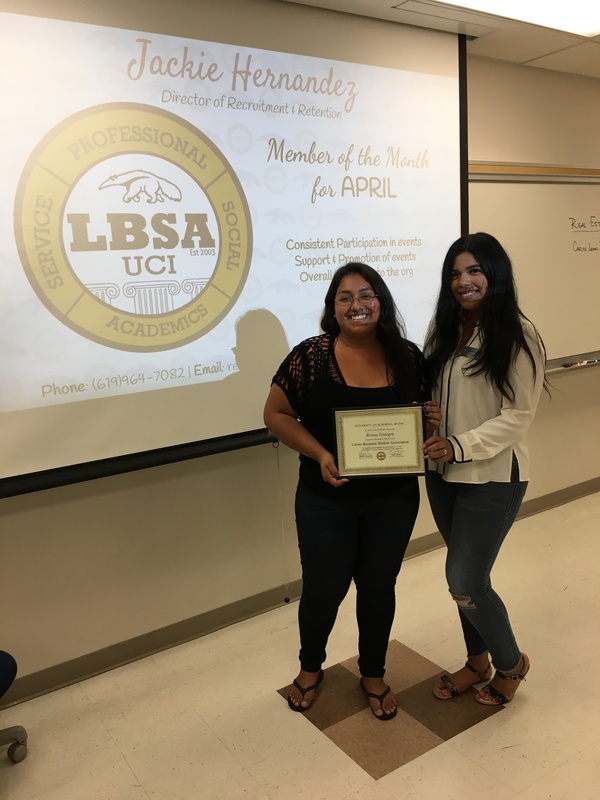 Her determination and participation have landed Briana the member of the month for April 2018. Next Introducing our New Board!